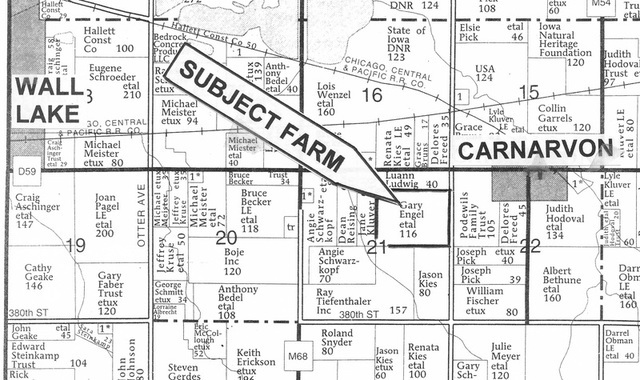 Friday, June 14, 2019 at: 10:00 A.M.
Farm is located from Carnarvon, IA., 1/2 mile west on D59, 1/4 mile south on Quincy Ave. 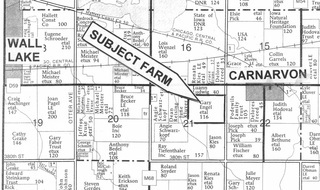 Selling a bare 115 acre, m/l, parcel with CSR(2) of 87.6. located in Section 21 of Viola Township. Check back for more details. LuAnn Ludwig, Pres. & Kevin Engel, Vice-Pres.